Sovereignty of Love, 9780984821303, 178pp. How can just saying the words I Love You entirely transform your life? The Sovereignty of Love guides you on an authentic journey to fully realizing your own essence, the inexhaustible nectar of Love. Alaya DeNoyelles elegantly strings together pearls of ancient wisdom and modern science to deliver the Harmonizing Practice, based on the Hawaiian healing art of Ho'oponopono. Our illusion of separation from Love is the root of our suffering. As we harmonize our daily life with love, we come to know our self as the consciousness of love. 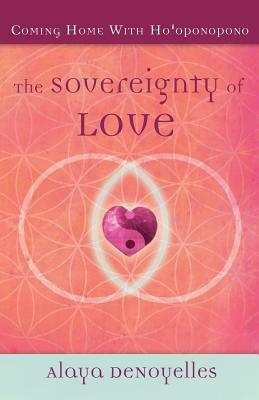 We give ourselves the great gift that we've always longed for: unconditional loving presence. This is Self-love. This is Sovereignty. from the book.